Have You Ever Really Loved A Woman? 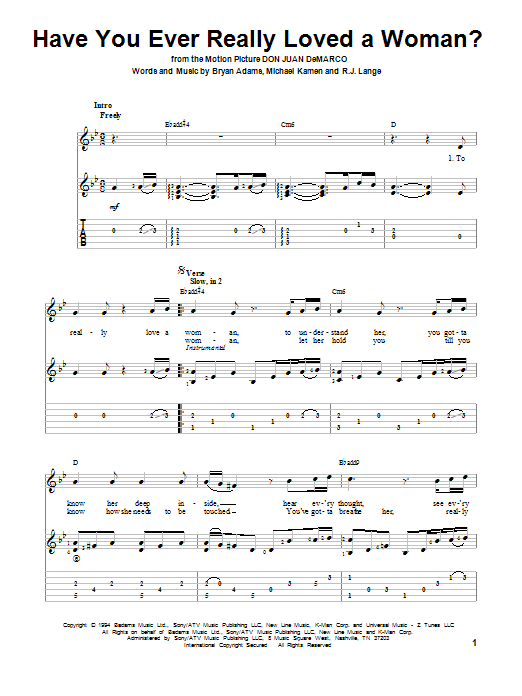 solo guitar tab, as performed by Bryan Adams. The most authentic and useful solo guitar arrangements on the web.